This page is dedicated to Transperth's Mercedes Benz buses. For other types, click here. 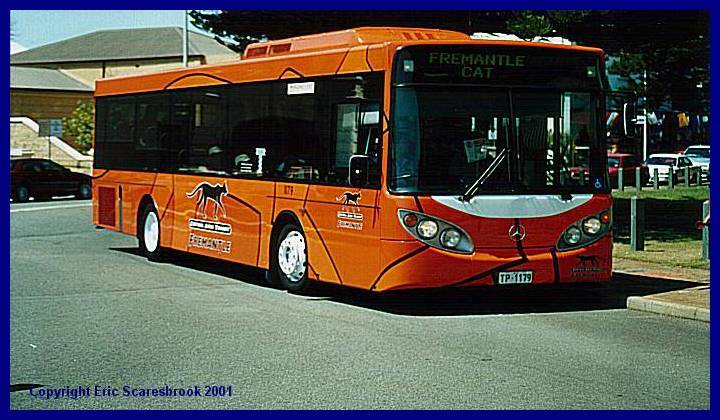 Mercedes Benz 1543 is on a replacement CAT service and is for today a Red CAT. Wellington Street, outside Perth station. 4 January 2001. 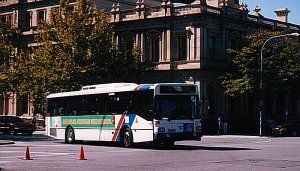 Transperth Mercedes 1534 waits at Midland station during a driver break on 6 January 2001. 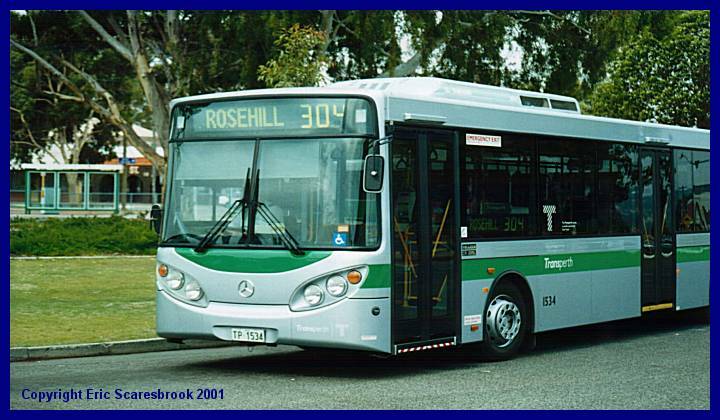 The destination on the front of the bus is Rosehill, reminding me of Rosehill in Sydney. There's an old joke that says "why have a timetable, the driver has never seen it!". 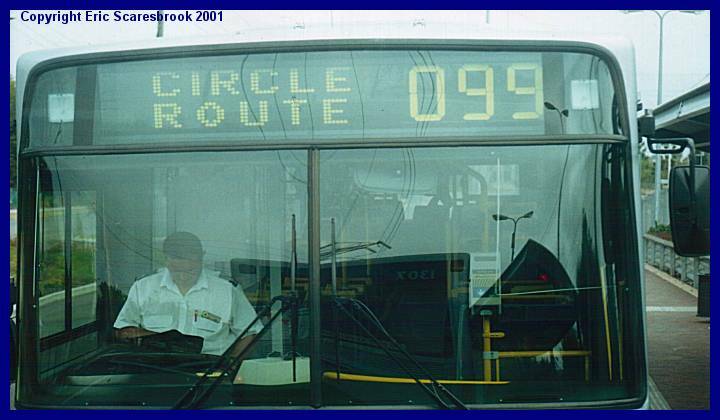 This joke came to mind while I was on a bus and saw the driver of the bus behind me reading a book prior to departure on a Circle route (route 99) service. 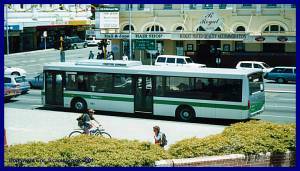 Oats Street station, 7 January 2001. 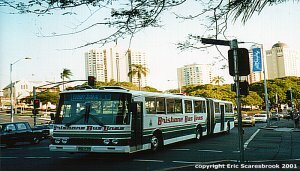 The bus in question is 1149 while I am on bus 1307. 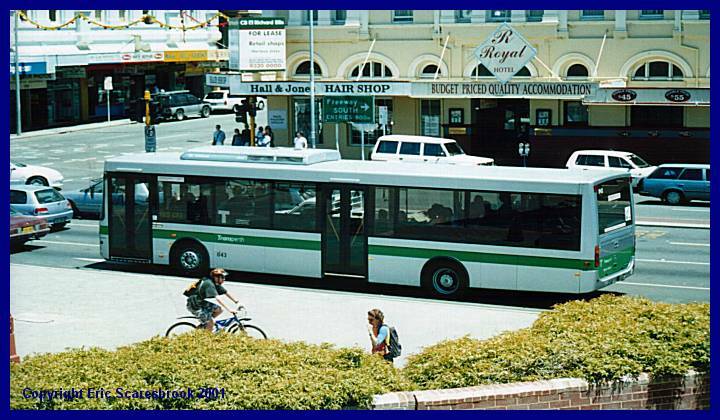 Fremantle CAT 1179 at Fremantle station, 7 January 2001. Last updated 14 May 2001.